Call (956) 683-8810 and ask about our SECOND STUDENT FREE! promotion. 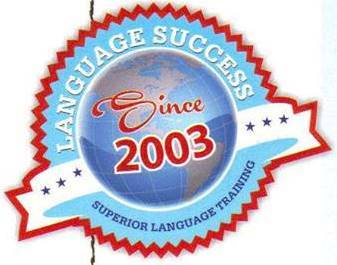 Language Success language school offers French, Spanish, English as a Second Language, German, Japanese, Portuguese, Italian, Sign Language, Chinese, Russian, Arabic, guitar, tutoring, preparation course for THEA, IELTS, TOEFL and American citizenship. The school offers language classes for both adults and children. Learning a new language should be a fun, challenging, and thoroughly enriching experience, and we work hard for every student to make it so. Our goal is to have the student practice conversation as much as possible. Teachers are trained to speak only the language being taught during class. For English training we use the "Interchange" method. We have found this method to be the best available independent English Methodology. All classrooms at Language Success are equipped with audio, video and maps, thus creating an excellent learning environment.